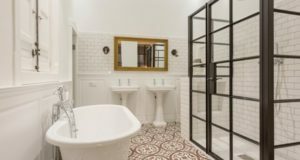 Bathroom is one of the most important rooms in a house. They are responsible for keeping the people of the house sanitized and clean. Bathrooms are also the place where the day’s first thoughts take shape and also the day is shaped. When we wake up we instantly go to the bathroom to start our day. Bathrooms are so important that they practically decide how are day is going to be. 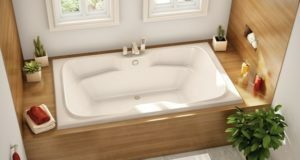 If the first thoughts upon entering a bathroom are negative then the complete day can be filed up with frustration and negativity and on the other hand positive thoughts will keep us happy all the day round. So, it is important that a bathroom looks good. Designing a bathroom for a specific gender can be a little tough given the fact that both the genders have almost the opposite choices. This article is all about the wall art ideas for a boy’s bathroom. Well you might think that it might be a difficult task but if you ask any boy about the wall art ideas the reply would be mostly to paint it blue or any other favorite color of his and some might even go ahead and tell you paint their favorite superhero but that’s it nothing more, no fancy paint no wallpapers etc. simple isn’t it? 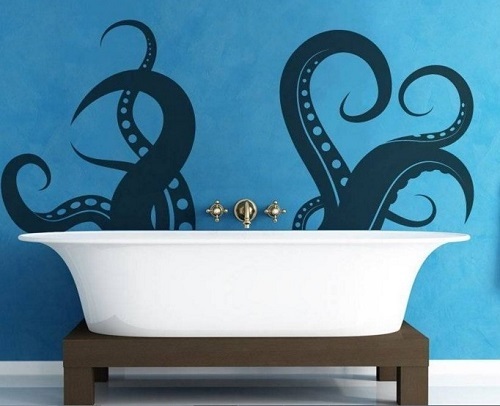 Here are some of the wall art ideas for boys bathroom. Most of the boys like things that are simple at least for the bathroom.A simple paintjob on the walls would be fine. A light shade of blue will seal the deal in keeping it simple yet likable. Blue being the universal favorite of boys all around the world pleases the eye of everyone and also adds a royal feeling t the walls. Blue wall art ideas for boys bathroom. Though one can always play with the shades and patterns but then we would not be keeping it simple right? If you are one of those who likes to say it all by your surrounding then this wall art idea is just for you. If you are an engineer you can have some gears made on the wall with some light shade and a darker shade of paint to give it a deep background. Blue as background and white as the color for the art will do the job nicely. Well if you still have the child in you alive and want to keep things that way then you can get your favorite character painted on the wall. Well most of us like the superheroes and also their wall arts are easily available in the market so it is not going to be a tough task to get your dreams into reality. Well every guy has a wild side hiding somewhere inside him and the graffiti is the best way to show it. Choose something that defines you or a small quote that you like of a photograph of any famous character or just anything that suits your eye and then just let the artists do their work. Graffiti looks really great if you hire the right person to make it and also it is a powerful and influential way to express something. Patterns are the best wall art that is available around and decorating a bathroom wall with it will really make it look good. With patterns you can really bring out the fun side in you.